Only last week the next instalment in Far Cry series was announced, and already now there are some fresh Far Cry 4 details, which have been leaked. Thus, yesterday some new information about the protagonist and the game’s story appeared on the official Uplay site. All fresh details, which were a sly advertising trick of Ubisoft for sure, were removed from the site in a couple of hours. So, according to the game’s description, you are Ajay Ghale, who are going to dangerous and steeped in violence Kyrat to fulfill your mother’s dying wish. But against your grain you find yourself involved in a civil war, which is directed against the oppressive regime of dictator Pagan Min - the king of Kyrat. According to the main hero’s name and the information from Alex Hutchinson - the creative director at Ubisoft Montreal, - who told that the protagonist isn’t white, we can assume that the main character is Indian. 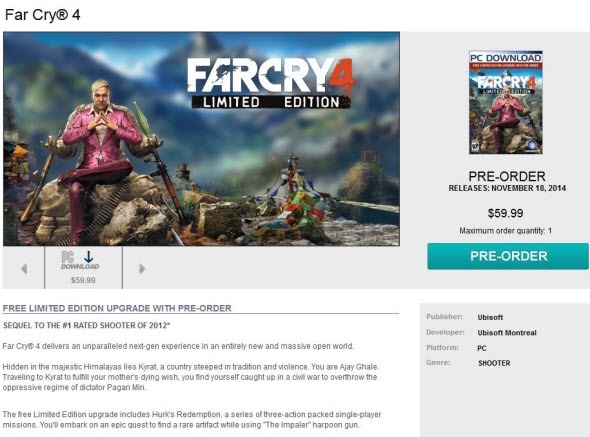 And a white man, depicted on the game’s box-art, may be the same violent dictator Pagan Min. And what do you think? But that’s not all Far Cry 4 details that have been revealed during a day. Thus, the information about project’s Season Pass has appeared on Gamestop site. Although there in no details about the future game’s add-ons or at least their number, it is known that Far Cry 4 Season Pass costs $29.99 and is available for PS3, PS4, Xbox 360 and Xbox One. What do you think about the abovementioned information? 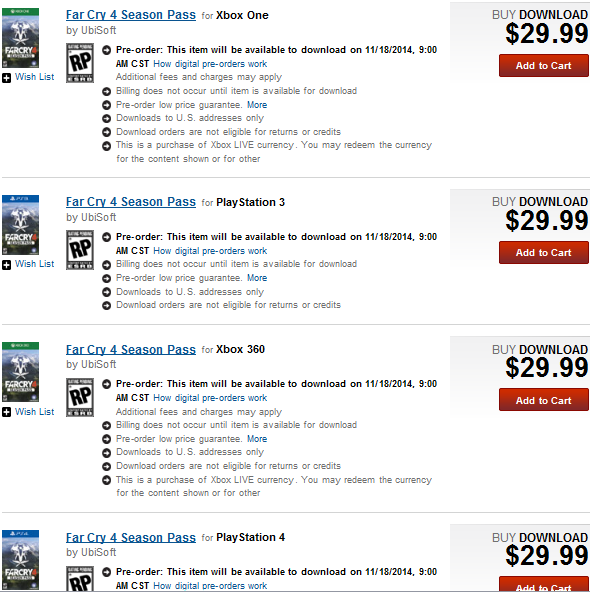 Are you going to buy Far Cry 4 Season Pass? Are you waiting for the game itself? We are always happy to read your comments at the bottom of the page.